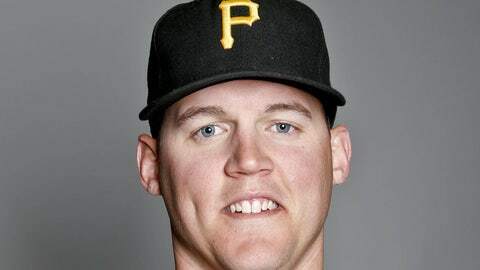 The Tampa Bay Rays acquired Jerry Sands off waivers from the Pittsburgh Pirates on Monday afternoon. The Tampa Bay Rays claimed outfielder/first baseman Jerry Sands off waivers from the Pittsburgh Pirates on Monday. Sands, 26, spent last season with the Pirates’ Triple-A affiliate in Indianapolis and batted .207 with 7 home runs and 34 RBI in 106 games. Drafted by the Los Angeles Dodgers in 2008, he was part of two trades in 2012. He was a piece in the deal that sent infielder Adrian Gonzalez from the Boston Red Sox to the Dodgers and the move that sent right-hander Joel Hanrahan from the Pirates to the Red Sox. He played in the majors for the Dodgers in 2011 and 2012 and batted a combined .244 with four homers and 27 RBI in 70 games.